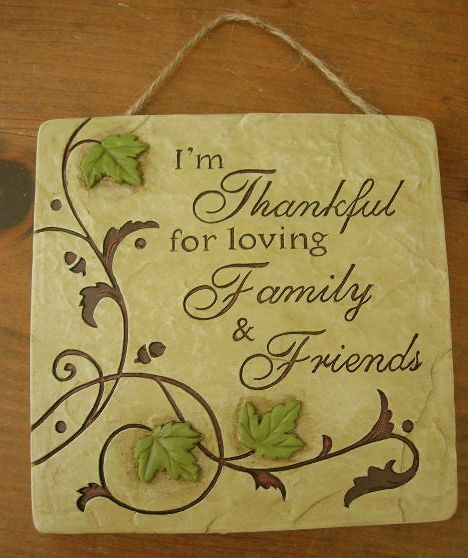 This Inspirational Thankful for Family and Friends Wall Plaque from Ganz looks great on an interior home wall or garden patio wall. It has a jute rope hanger on the back for easy mounting. This wall plaque is made of sturdy stone resin. It has an Old World Charm look and will work great with any decor.